You are currently viewing all posts tagged with triple aught design. I uploaded some photos from the Triple Aught Design winter shoot. 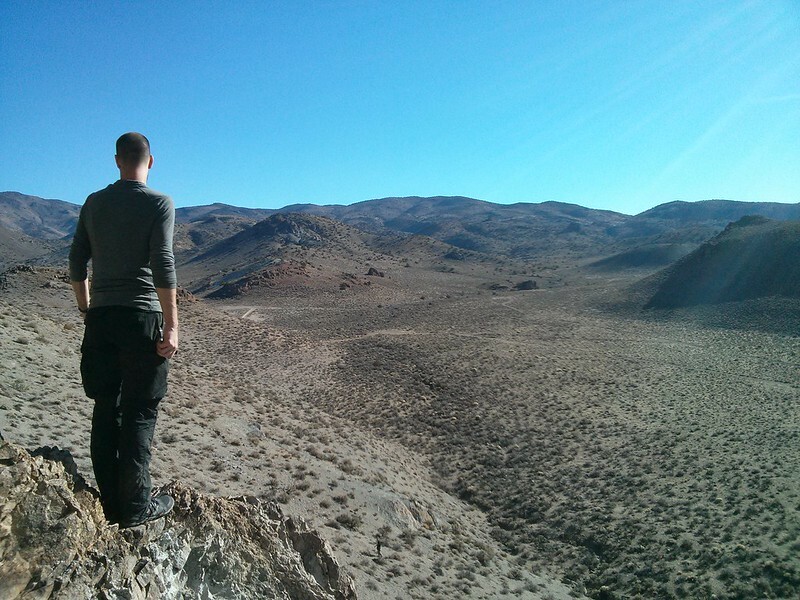 The shoot took place in November, over the course of a few days near Desolation Wilderness and in the desert outside of Reno. The photos are on Flickr. This post was published on 2014-01-05 . It was modified on 2014-01-05 . It was tagged with micro, triple aught design. 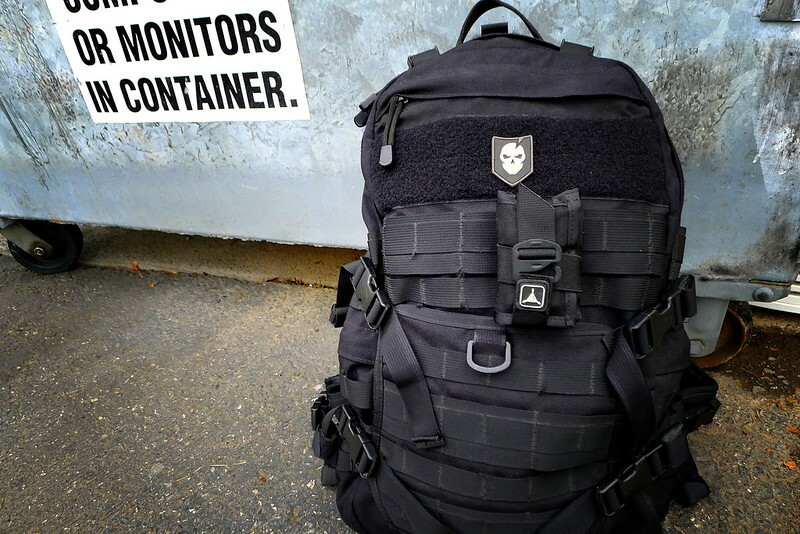 As I mentioned previously, there was quite a lot of swag given out to attendees of the ITS Tactical Muster. My favorite piece was the Micro SERE Kit put together by SerePick and Triple Aught Design. 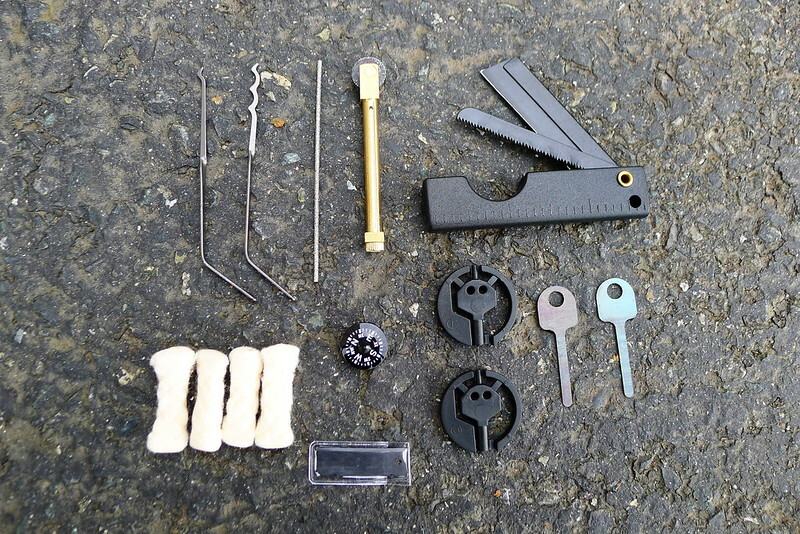 Matt from SerePick donated a set of Bogota entry tools, a diamond wire blade, a folding tool that includes a saw and razor, a small button compass, two universal handcuff keys, two handcuff shims, a small ceramic razor blade, Kevlar cord, and steel wire. [The additional items were purchased by ITS for the kits, not donated by SerePick.] TAD Gear (who also provided two students, in the form of Brett, their CEO, and Anthony, their Art Director) added to this kit their brass Survival Spark and four Tinder-Quick tabs. 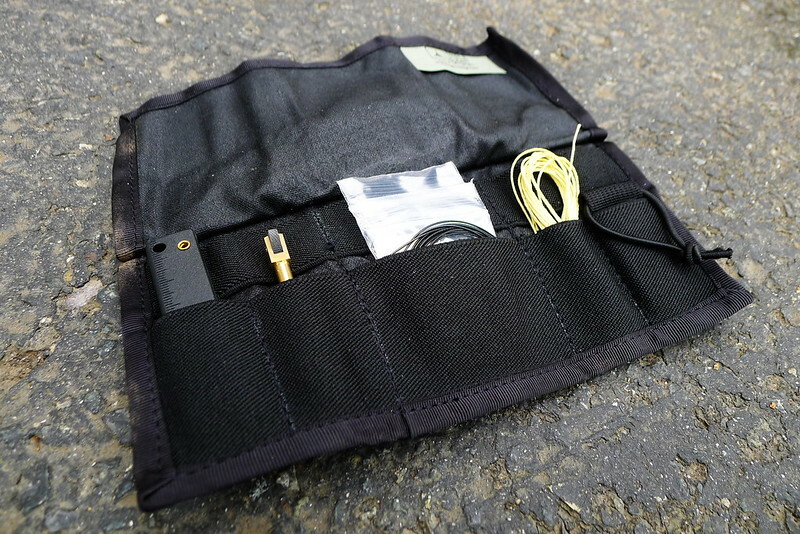 TAD also developed a custom pouch to hold this kit. It’s similar to a bicycle tool roll, but on a smaller scale. 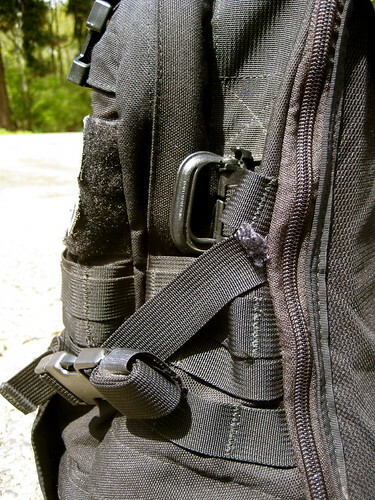 The closure strap allows the pouch to be mounted to any webbing, whether it be a belt or PALS. I think it would be great to see this become a regular product, perhaps co-branded between TAD, ITS and SerePick, but for now the pouches are exclusive to alumni of the ITS Muster. This post was published on 2012-11-03 . It was modified on 2012-11-08 . It was tagged with edc, gear, triple aught design, lockpicking. The K & M Industries Match Case has long been considered one of the top waterproof match cases available. Each case is hand made in the Elk River, Idaho garage of Keith and Marge Lunders. The match cases are available in either brass or aluminum and come in two different sizes. The standard length cases are 3 7/8”, designed to fit 2 3/8” strike-anywhere matches. The long length cases, measuring in at 4 1/4”, are designed for REI Storm Proof Matches. Aluminum cases are available in black, silver, green, or red. Last winter, I bought a standard length, black aluminum case. It has been part of my wilderness EDC for close to a year. Though I don’t always use them, I always carry matches into the wilderness, in addition to at least one BIC lighter and a multitude of ferro rods. Ferro rods are my primary means of starting fire – usually with some synthetic tinder, such as Vaseline soaked cotton balls. It’s also my primary way of starting my alcohol stoves. If I’m not having luck with the rod, or all my tinder is wet, I can move to a lighter or a match to get the fire going. I’ve also found that when it gets to about 20 degrees Fahrenheit or below, denatured alcohol does not like to take a spark – instead requiring a match or lighter to start my stove. A lighter is of course the easiest way of starting a fire, but because I carry a BIC lighter, it is not always dependable. If it was submerged, it will need some time to dry out before working. If there are high winds, the flame will no doubt get blown out. 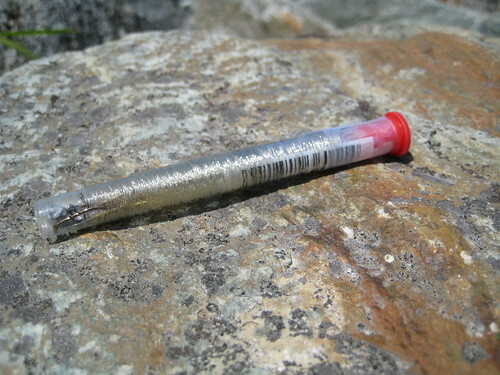 I have previously carried waterproof, windproof butane lighters, but those seem to eat through the fuel way too fast to be practical wilderness devices. It is difficult to justify the huge price increase in one compared to a BIC lighter. The other problem with BIC lighters is that it can be hard to determine how much fuel you have left. You can judge the weight, shake it around next to your ear and listen, but it’s a rough estimate at best. 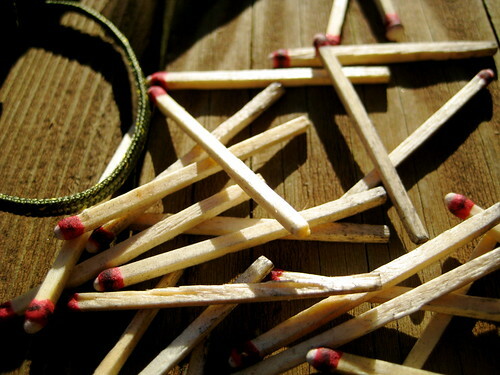 That’s what I like about matches: you can count how many you have. For this simple reason, I am sometimes likely to go to my matches rather than my lighter when I need ready-made flame. Carrying the aforementioned REI Storm Proof Matches also addresses some of the other concerns of the BIC lighter: they will light when wet (if lit and then submerged, they will quickly relight themselves after you remove them from the water) and are nigh impossible to blow out. This makes them a great emergency fire source, but, like the fancy butane lighters, are relatively expensive compared to standard strike-anywhere matches. Because of this, I carry both: normal strike-anywhere matches for general use and REI Storm Proof Matches for when the elements are against me. The REI Storm Proof Matches, being pretty darn waterproof, aren’t in much need of a waterproof case (I imagine that they will get soggy and useless if they’re kept underwater for a long period of time, but if you accidentally take a bath during a river crossing and crawl out within a couple minutes, the matches should be fine). Strike-anywhere matches, on the other hand, do need extra protection. Hence why I decided to start with the standard size K & M case. All K & M match cases feature a unique closure system. The lid itself has two o-rings on it to prevent any water leakage (guaranteed to 2000 psi of water pressure). It’s not a screw on lid, but simply pressed onto the case. After the lid is on, you then twist the cap, which in turn twists and tightens the thin nylon lanyard around the body of the case, ensuring that the fit remains tight. Ingenious, simple, and effective. The body of the case itself is about 3” (not including the cap). The bottom half is smooth, while the top bit is etched with a pattern that ensures a good grip can be had on the case, even when you and it are soaked. The top of the lid sports a small Suunto compass for general direction finding, greatly increasing the utility of the item. 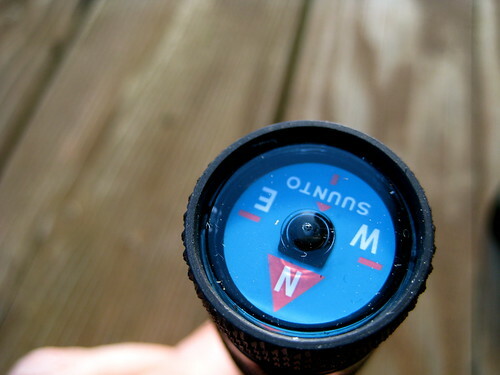 This isn’t some cheap, $1 knock-off button compass, either. 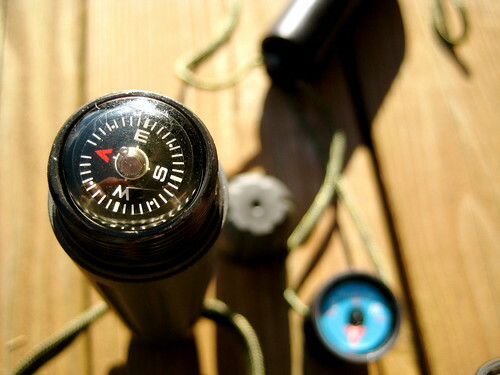 Suunto compasses can be depended upon. The outer rim of the lid has been etched in the same manner as the top half of the body for grip, but the case also comes with a small protective piece of plastic that slides snugly over the lid, protecting the face of the compass. With this installed, you loose the extra grip on the lid. This may be a problem in some conditions. The lanyard, after it does its thing tightening the lid, extends down past the body of the case for about 12”, terminating in a loop, which allows the case to be securely fastened to your person. The inside of the lid is roughened, which is supposed to provide a surface for striking the matches. Perhaps I don’t know how to strike a match, but it’s never worked for me. In fact, as a general rule, I find strike-anywhere matches to actually be strike-anywhere-there-is-a-commercial-match-striking-surface matches. I never have luck attempting to strike matches on any old rough surface. But that’s not a problem: all REI Storm Proof Matches come with extra striking surfaces inside the box. They’re pretty heavy duty, work with all types of matches, and come sealed in plastic. I tend to collect them and stash them everywhere. For the K & M match case, I cut off a small piece that would fit on the bottom of the lid and super-glued it on. This guarantees me a working surface to strike my matches. The rest of the striker I put back in it’s plastic cover and store in the body of the case, for use as a backup. The plastic prevents it from striking and lighting any of the matches. Because of the striking surface on the lid, I store all the matches tip down, so that they won’t accidentally light and turn the case into a bomb. With the the extra striker stored, I can jam in about 25 matches, give or take a few. You could fit in more if you removed the striker. The match case is also a nice place to carry a pre-threaded needle or two for emergency repairs. Around the outside of the case, I keep a length of that same 700x35 bicycle inner-tube that I have around my BIC and a couple of my Moras. 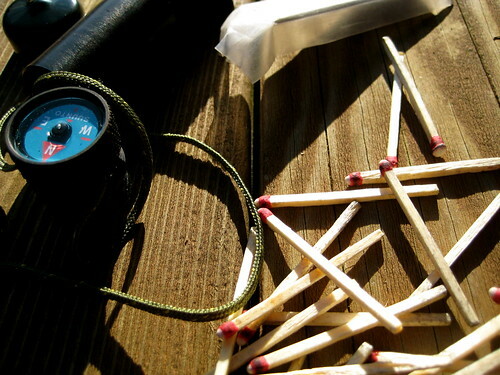 The inner-tube, along with matches that are guaranteed to be dry, gives me a sure-fire method of fire starting. Both the brass and aluminum cases sell for $19 each. 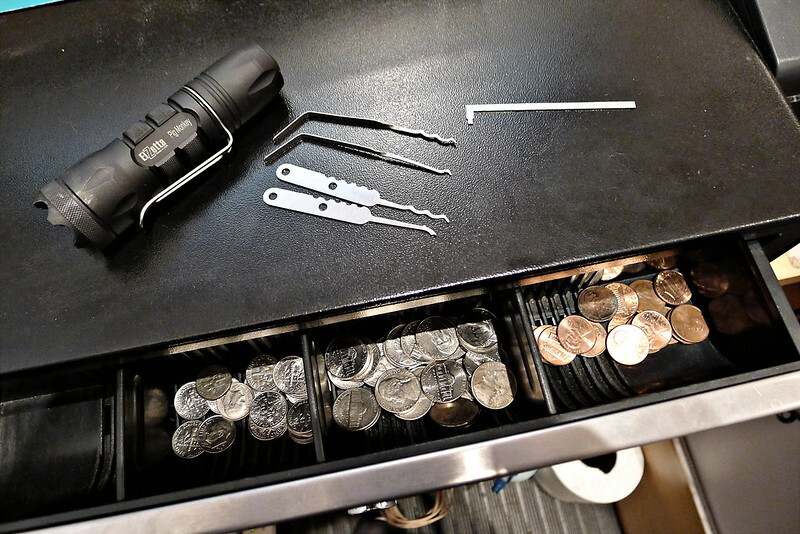 That may seem like a lot of money for a simple match case, particularly when you can pick up a cheap-o plastic one for $1.75, but I think it is well worth the money. The brass case looks a lot nicer and is more durable, but is a good deal heavier than the aluminum. Some day I would like to acquire one of the long aluminum cases for my REI Storm Proof Matches, even though it is not strictly necessary. I also own a TAD Gear Life Capsule O.K., which makes a good match case. 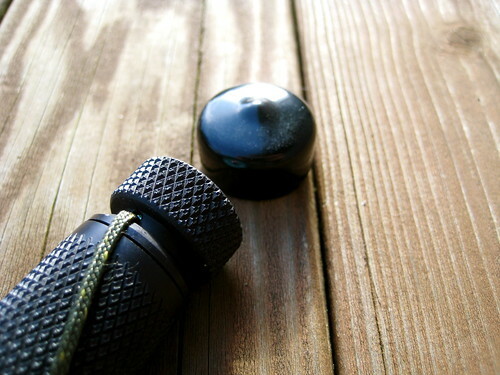 The TAD Capsule is equally waterproof and also includes a compass in one end (albeit a cheaper one), but because of the significantly increased weight of the TAD capsule over the K & M case, I think the K & M is a superior product. Another review of the case, along with some discussion of matches, can be found at British Blades. I thought I remembered Schwert doing a review of the case on the now defunct Outdoors Magazine, but I cannot find it in the archives. This post was published on 2009-12-02 . It was modified on 2012-09-15 . 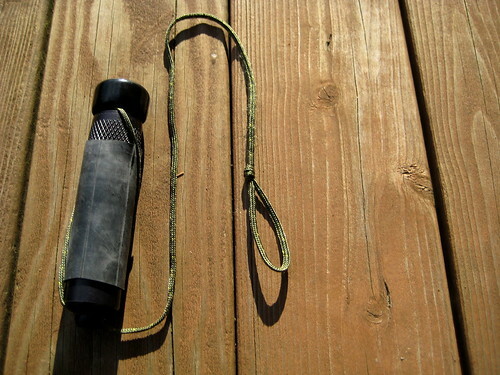 It was tagged with gear, fire, review, bushcraft, inner-tube, survival, triple aught design. 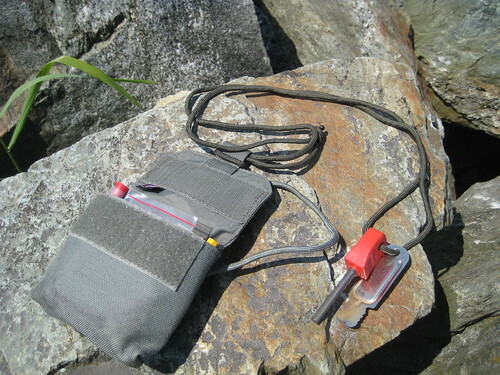 My possibles pouch began as being simply a Doug Ritter Pocket Survival Pak. 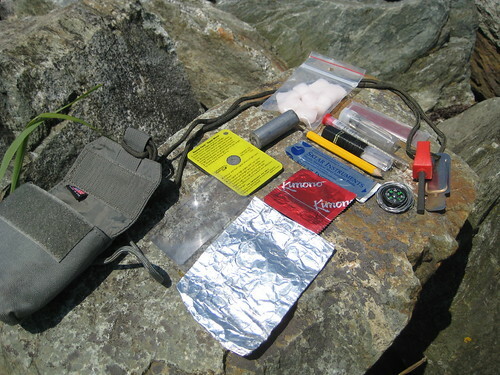 The Survival Pak comes in a waterproof envelope that is meant to be carried in a pocket. I prefer a belt-mounted solution, so I ditched the waterproof envelope and moved the contents to a TAD Gear SERE SP pouch. The SERE pouch has velcro webbing on the back, which allows it to be mounted to be mounted to any sort of belt or PALS webbing. When using the possibles pouch, I’m often traveling with my Kifaru ZXR. The ZXR is built upon Kifaru’s WrapTech Plus Suspension system, one of the primary components of which is the belt. The belt is a very thick, wide belt that is designed to work with the anatomy of the body and allow the user to comfortable carry obscenely heavy loads. The design of the ZXR’s belt makes it unpractical to have many pouches mounted to your own pants belt. Because of this, I didn’t want to actually mount the SERE pouch to my belt itself, but instead mount it so that it dropped down a bit below my waist, thus not interfering with the ZXR belt. To accomplish this, I simply tied a short loop of paracord through the pouch’s webbing. To mount the pouch, I pull the loop through the backside of my belt and run the pouch through the loop. This allows me to both don and doff the pouch without removing my belt. The contents of the pouch have changed since I first removed them from the waterproof envelope. The Doug Ritter Pocket Survival Pak still forms the base of the pouch, but I’ve added and removed other items to cut down on redundancy and better compliment the other gear that I carry. I also don’t intend the possibles pouch to be strictly a “survival” item. All of the pouch’s contents have utility in a survival situation, but some of them are not intended explicitly for that. 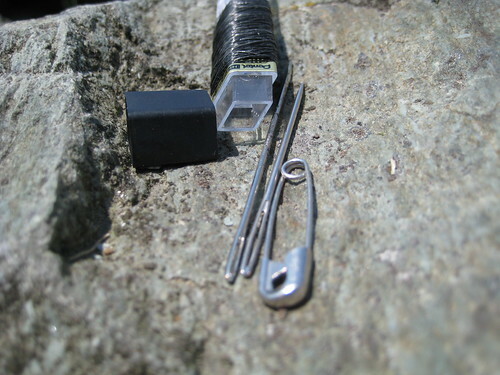 The components that remain from the Doug Ritter Pocket Survival Pak are the duct tape, pencil, safety pins, 20mm compass, stainless steel utility wire, sterile stainless steel surgical blade, magnifying lens, signal mirror, and aluminum foil. The other items I’ll cover here. This is a standard Light My Fire Scout firesteel and striker. It is not my primary firesteel, but a backup that I can be sure of always having securely attached. You might have noticed that the paracord that I use to secure the rod and striker to the pouch is rather long (about 3.5’). Paracord, of course, has hundreds of uses, so carrying a bit more of it than is strictly necessary isn’t always a bad idea. But the primary reason for the length of this particular piece of cord is that I can use it as a bow string on a fire-bow set. This is just one standard latex condom. It can be used as a water carrier, a makeshift glove for a few fingers while taking care of a wound, a barrier to help stop the creation of a new species of half humans half wood nymphs, or utilized in the creation of emergency balloon animals. REI Storm Proof Matches always come with 2 spare strikers sealed within a piece of plastic. I find that so-called “strike anywhere” matches can be hit and miss, so by carrying this, I assure myself of always having a dry, reliable surface to strike any kind of match on. This stuff is not my favorite fire starting tinder, but it does work, and I have a bit of it kicking around, so I tossed it in. They’re stored within a small waterproof bag. My repair kit, I think, is somewhat ingenious. I like it, at least. 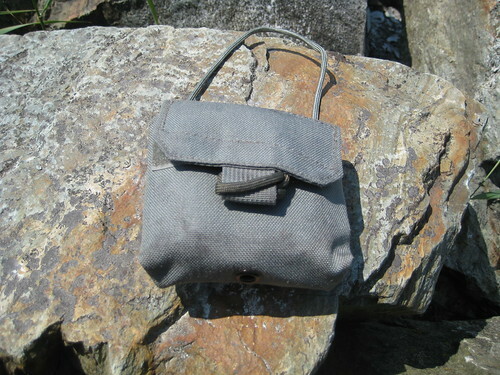 I previously carried a small leather pouch with an assortment of different needles, types of thread, and safety pins. The whole thing was far larger and heavier than I could ever justify it being, so I ditched it and started from scratch. I got the idea for this new kit from the BackpackingLight Forums. Around the outside of the case, I’ve wrapped a length of black Kevlar thread. When I built this kit, I just wrapped till I got bored, so I have no idea how much thread there is. Enough, I think, for any repairs that I am likely to encounter. I chose Kevlar thread as the best complement of weight and strength. Previously, I carried a bit of standard, thin sewing thread. The thinness of that thread is suitable for sewing things like clothing, but it is decidedly weak. 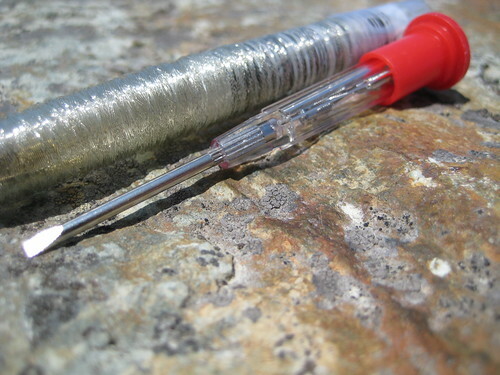 Kevlar thread is the same thickness, not noticeably heavier, but much stronger. I also previously carried a bit of thick waxed nylon string that is appropriate for sewing things like thick leather, heavy cotton canvas, or thick nylon. This is very heavy by my standards and overkill for most repair jobs. Out of all the gear I carry, it would probably be appropriate for repairing only my Kifaru rucksack. And Kifaru rucksacks don’t fail. If by some strange happenstance it did fail, the Kevlar thread would probably be strong enough to get be back home or to some place where a more permanent repair could be made. Also inside the case is a small safety pin. The purpose of this is actually just to take up more area inside the case so that the two needles don’t bounce around and make noise. This repair kit, along with the 4 large safety pins also carried in the possibles pouch, makes for a very small and lightweight repair kit that is able to tackle any of the problems that I may encounter. In addition to this, I also carry a half dozen safety pins of a varying sizes and a couple spare buttons within the rucksack itself. 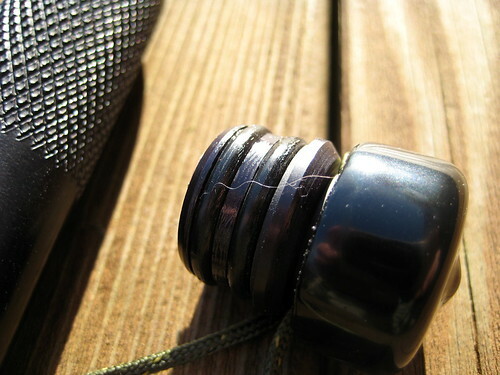 The guts of paracord and the floss in my toiletry kit can also be appropriated as thread. My fishing kit is actually a combination fishing kit and glasses repair kit. An odd combination, you say? I agree. I am dependent on my glasses, so I have always carried a glasses repair kit. Such kits are available in any drug store in the country and usually consist of a small tube that contains a few of the small screws that most glasses use, a small screwdriver to match, and a couple spare rubber nose pieces. A year and a half ago I purchased a new pair of glasses that happen to have plastic nose pieces integrated into the frames. Recently, I was going through the possibles pouch, rethinking each item, and came upon the glasses repair kit. I opened it up and was shocked – shocked, I tell you – to discover that it contained two of those small rubber nose piece replacements. With my new glasses, these were completely useless to me. I had been carrying around an extra 2 grams (or so) all this time! I disposed of the offending pieces and felt better immediately. But then I looked at the tube and its contents and decided that it really was a waste of space. The tube was far too large for the spare screws and screwdriver that it now contained. I shrugged, moved on to looking at the rest of the contents of the possibles pouch, and then had a stroke of brilliance. I would turn the glasses repair kit into a fishing kit! It follows on the same principle as the repair kit. Around the outside of the tube, I wrapped a length of 4 lb monofilament fishing line (“ultragreen” in color). Again, I did not measure the length, but it is plenty for such an emergency kit. 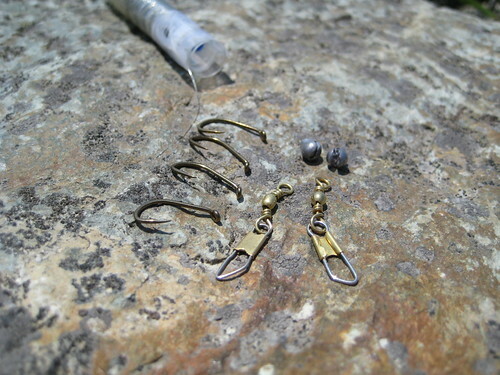 Inside the tube, I placed 4 small hooks, 2 split shot, and 2 snap swivels. This is clearly a very minimalist fishing kit, meant for emergencies only, not for when one intends to actually catch fish for a main form of sustenance, but I have used it. It does work. 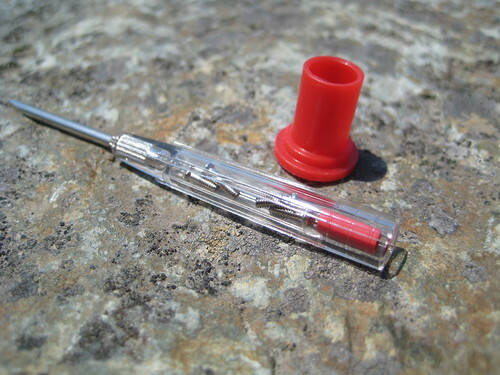 This particular glasses repair tube is well-suited for such a kit because the lid for the tube is the screwdriver itself. 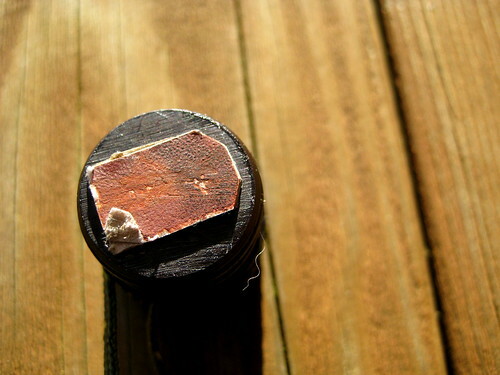 The top of the screwdriver can then be removed, exposing the inside of the hollow handle. It is in here that the spare screws are stored. 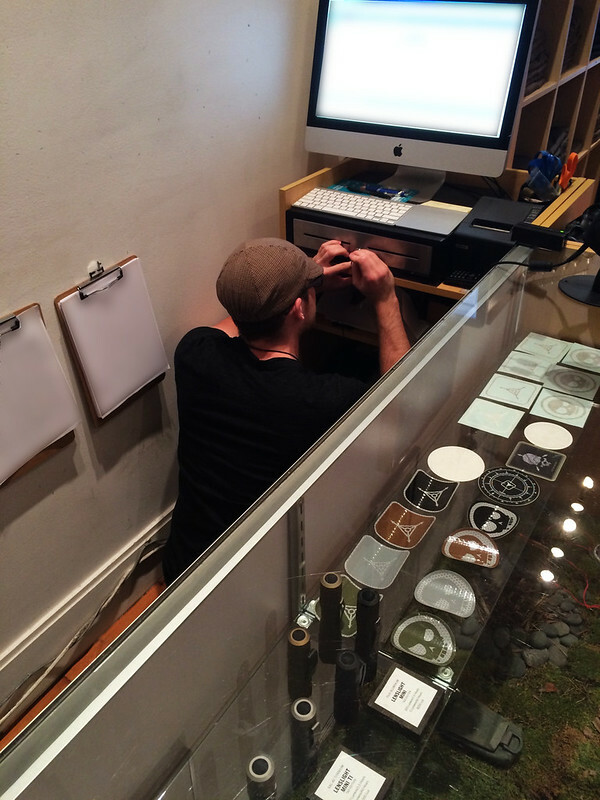 This allows the glasses repair bit to be separate from the fishing bit. 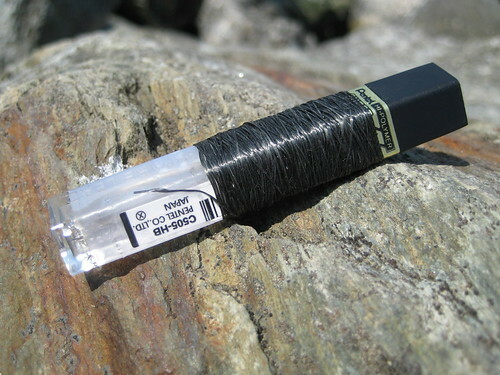 It should also be noted that the fishing line wrapped around the outside can also be used as repair thread. This post was published on 2009-06-07 . It was modified on 2012-09-15 . 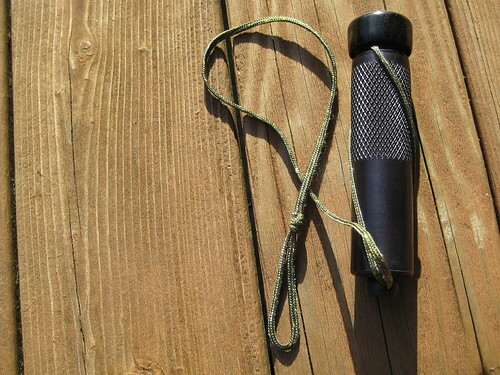 It was tagged with fire, review, bushcraft, gear, triple aught design, repair. I took some photos of my EDC pack today. I live in an urban area and commute on my bike, but I also use the pack during day hikes, so the pack includes an odd mix of urban, bicycle, and wilderness tools. All the items are identified by comments and notes on flickr. The pack itself is a TAD Gear FAST Pack EDC, which is probably evident to most of you. It’s been my every day carry pack for a little over a year now. I’m very pleased with it. The gear that I EDC on my person is probably more interesting. Maybe someday I’ll take pictures of that. This post was published on 2008-12-11 . It was modified on 2012-09-30 . It was tagged with edc, gear, triple aught design.